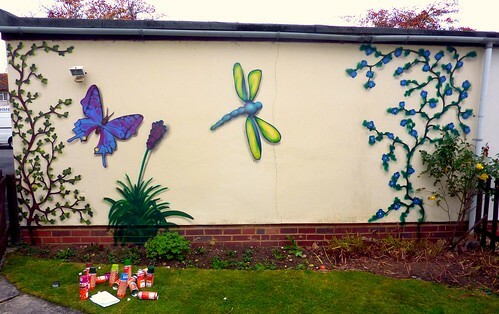 In October 2011 Arkade graphics painted a collection of walls around Bradville, Milton Keynes, with the help of Ally Luxon from community action MK. All the locals who had their walls painted were very happy with the results as were passers-by. 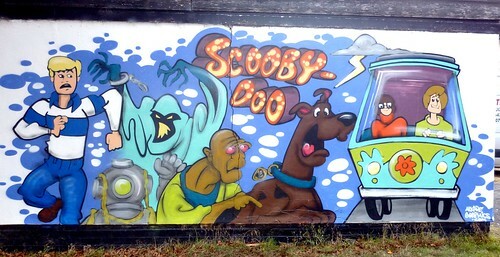 This entry was posted in Commissions and tagged Ally Luxon, Ally Luxon from CAMK, arkadegraphics, artwork for sale, Bradville Graffiti, Bradville's graffitti walls, commisions, Community Action MK, Graffiti, Graffiti in Bradville, graffiti workshop, milton keynes graffiti, Mk Community action, Mural, Spraypaint, usn. Bookmark the permalink.